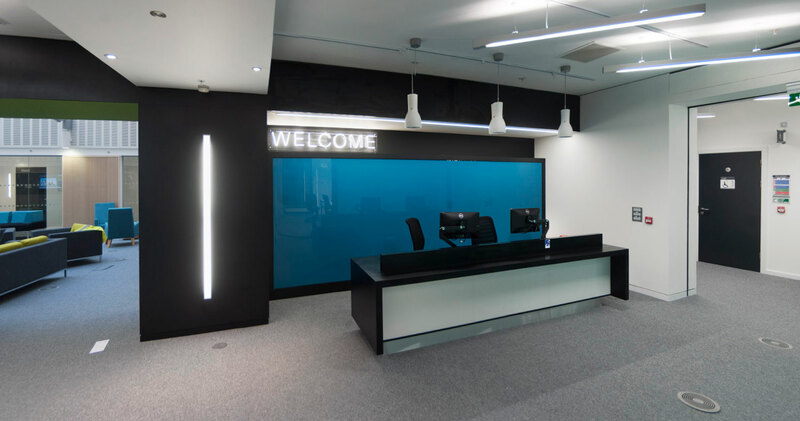 The goal of this project was to create a new Student Services Hub for the University of Manchester on the 1st floor of the University Place Building. 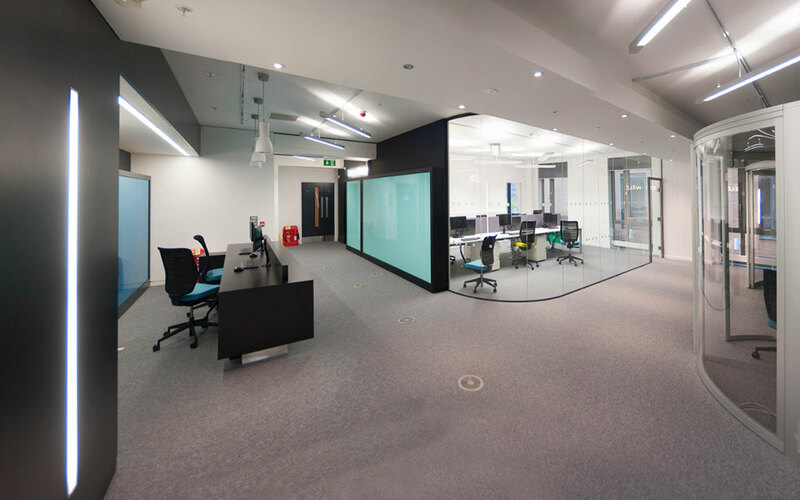 Initially a major strip-out of all existing walls, partitions, structural steel, ceilings and fixtures & fittings was required to return the space to an empty shell. 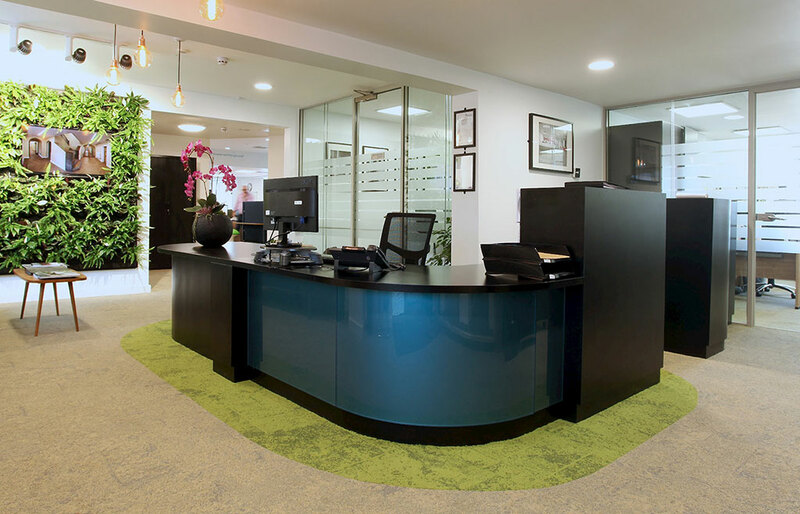 New works included the installation of partitions, glazed screens, kitchens, doors, roller shutters, flooring, ceilings, decoration and specialist joinery. 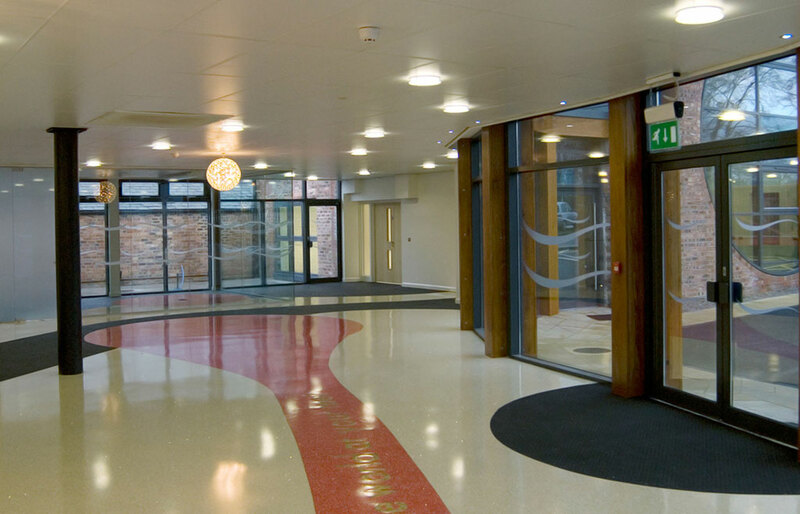 M&E works included adaptations to power, data, lighting, AV, fire alarm, sprinkler and ventilation installations. 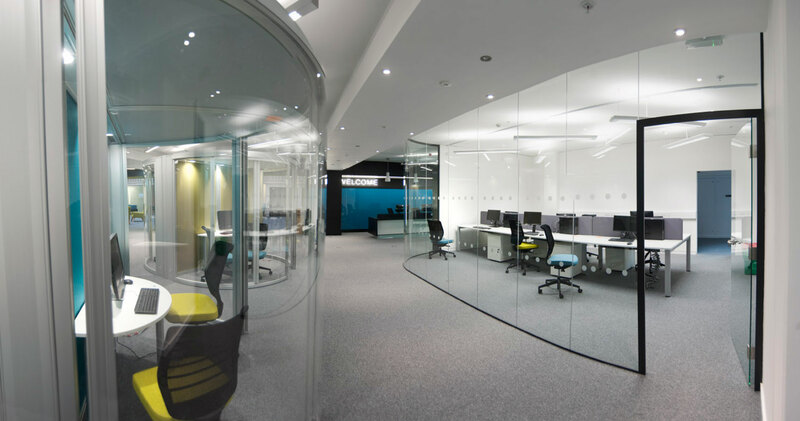 A key feature of the completed project are the acoustic meeting pods installed by Orange Box which are designed to provide private space in open plan environments. 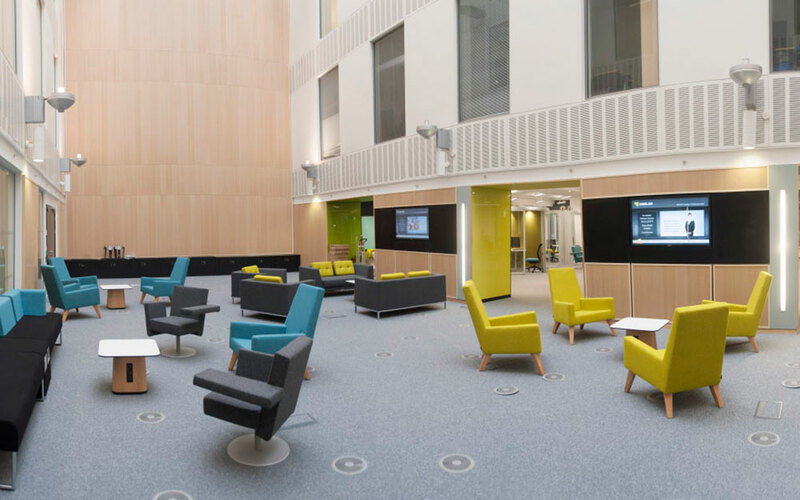 Decoustics acoustic panelling sourced from Canada with a recycled content of 79% has upgraded sound insulation in the atrium area. One of the atrium walls features a mural of the poem ‘Let There Be Peace’ written by Lemn Sissay MBE. A full-height access scaffold was erected and the poem was hand-painted. 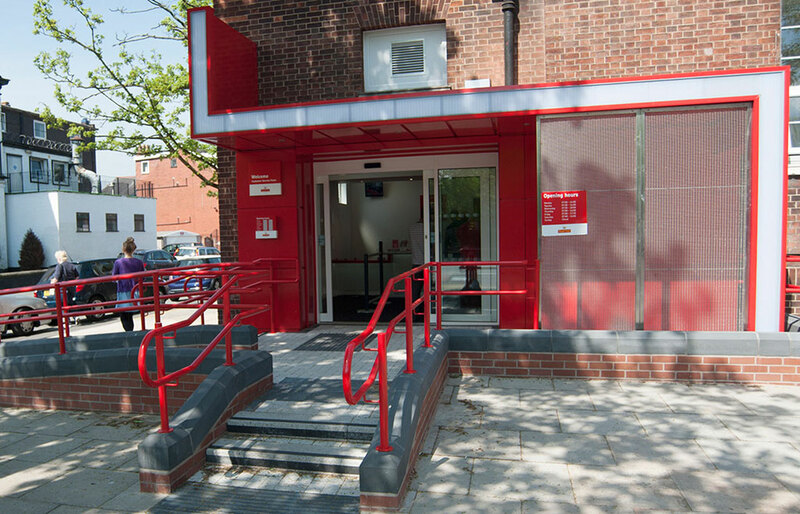 Design issues and problems with the existing structure led to a potential 3 week delay to the programme which was unacceptable to the client. We worked collaboratively with the design team and our supply chain and through innovative solutions and extended working hours we reduced the delay to a single week, ensuring the project was completed in time for the start of the autumn term. 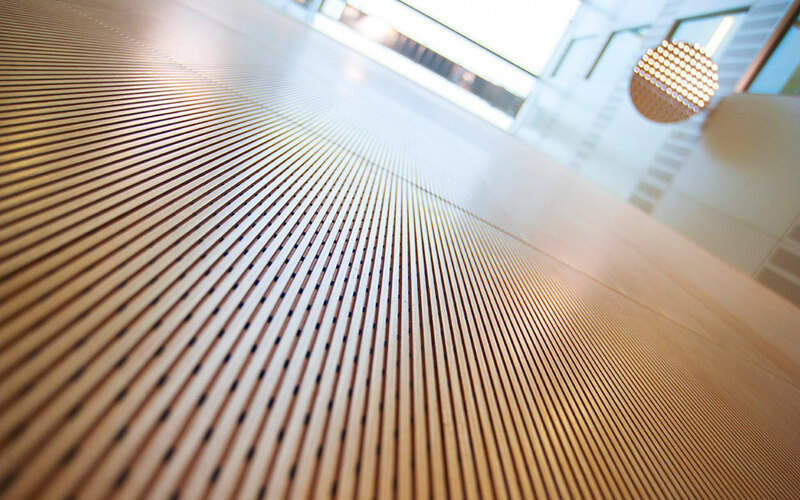 Throughout the project we liaised with the managers of the adjacent conferencing facilities to minimise disruption. Conferencing is an important source of revenue for the University and facilities are hired out up to 3 years in advance. We carried out a noise test session at the start of the project and as a result were instructed not to use power tools during working hours. 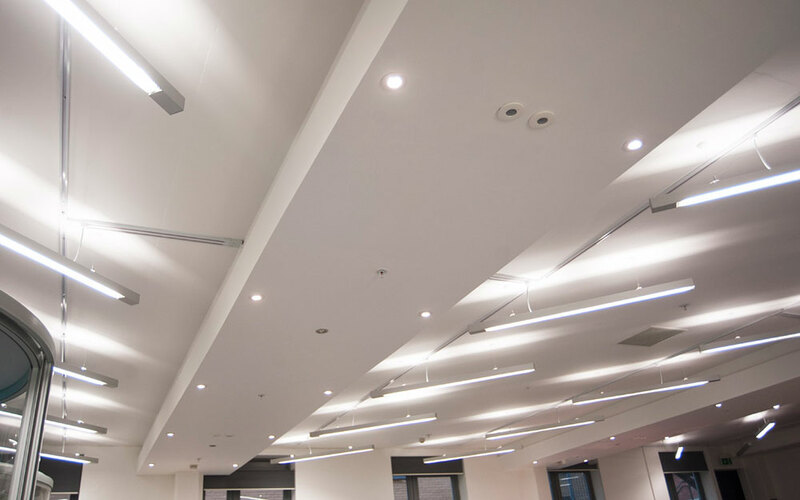 We monitored noise throughout the project, limited noisy operations to evenings and weekends, and maintained progress by ensuring we had quieter works to carry out whilst conferences were in progress.